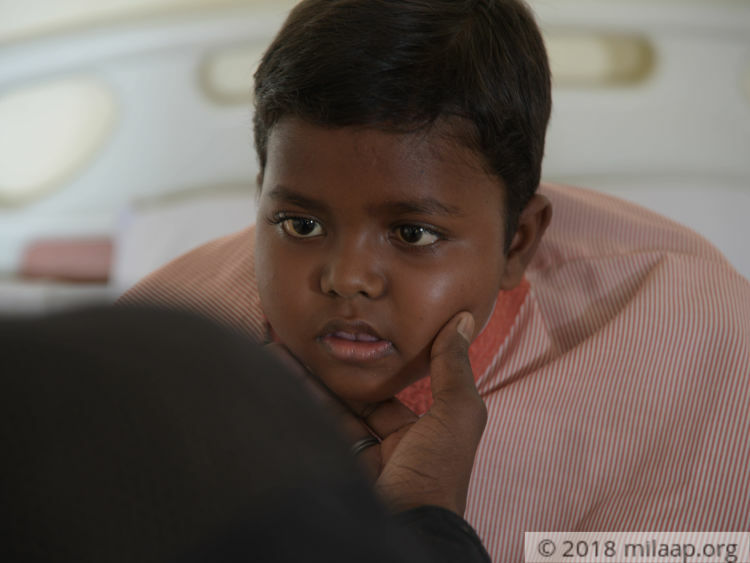 Every day, Little Karan Kumar wakes up groggy-eyed and in the cancer ward to the sound of nurses and flocking to visit patients. When they approach him, he smiles and says ‘Good morning nurse aunty’ and shakes hands. He proceeds to ask them about their day when he experiences a jolt of pain in his head that makes him pass out almost. He screams with all the energy he can muster, and when the pain becomes unbearable, he throws a tantrum and even becomes violent. 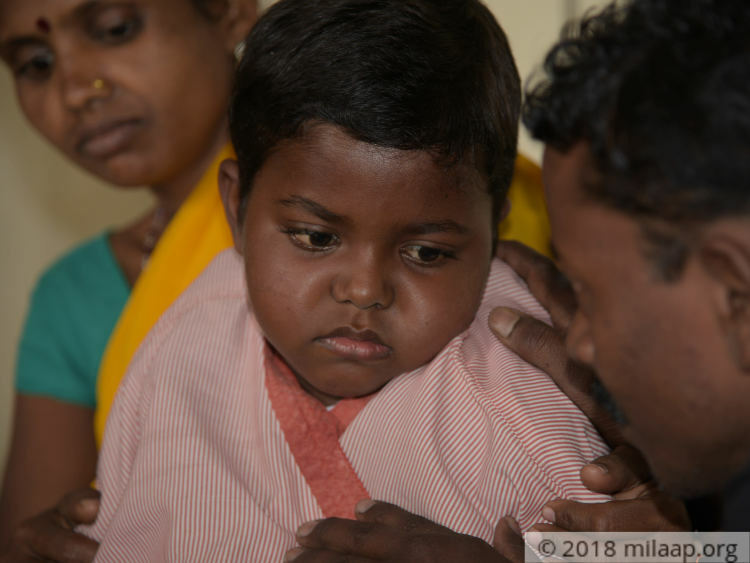 “He becomes a completely different child when his splitting headaches get worse – at one moment you can see him happily trying to play with other children in the hospital, and in the next, he becomes so enraged that he even starts hitting me due to unbearable pain,”-Ram Chandra, father. 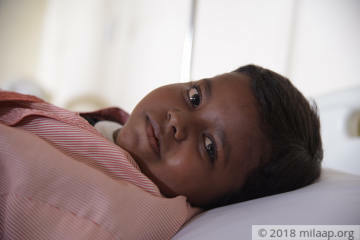 6-year-old Karan is Ram Chandra and Sunita Devi’s only son of their 5 children. He was pampered from his birth, especially by his 2 elder sisters, who love him to pieces. The family belongs to a small village in Jharkhand, where Ram Chandra used to earn a living as a daily wage labourer. Though means were less and resources were scant, they were happy in each other’s company. Little Karan used to keep everyone on their toes with his funny antics and playfulness. He loved going to school, but more than anything he looked forward to coming back from school to be with his family. He never needed to make any friends in his neighbourhood as his sisters gave him enough company. But unfortunately for him, 3 months ago, his life changed in an instant when he fell down after becoming unconscious. He fell really sick after the fall, becoming plagued by frequent fever and headaches. 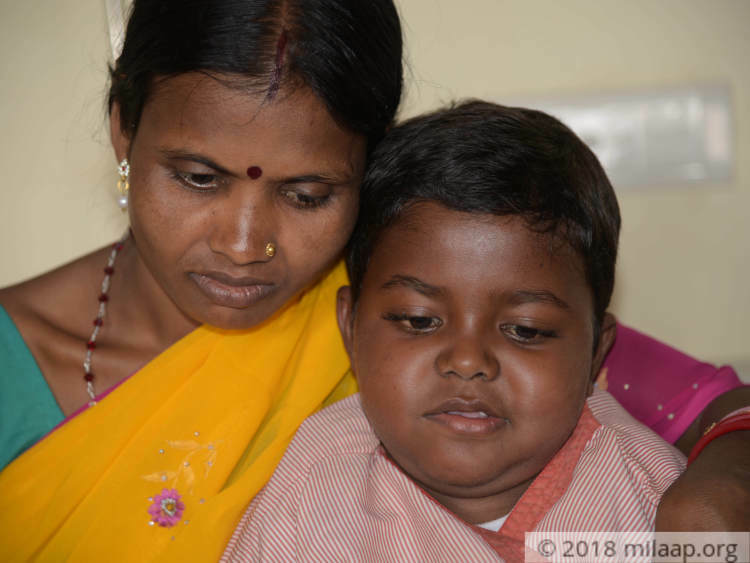 His parents took him to many hospitals – in Ranchi, Mumbai and many other places before he was diagnosed with Glioma Brain Tumor, an aggressive tumour that begins in the supportive cells surrounding nerve cells in the brain and spinal cord and can spread rapidly. The brain tumour has not only completely drained this little boy of all his energy and vigour and given him splitting headache, it has even affected his mobility. He can barely lift his left arm or walk more than a few seconds because of the weakness in his left leg. Karan knows that he is sick because of something called a ‘tumor’ and asks his parents why he got it despite being a good boy. His parents can only hug him tight and tell him he will be fine when he asks this. His tumour now threatens to spread to other parts of his brain and spinal cord, and can even end up taking his life. He can only survive with prolonged radiotherapy and chemotherapy. “My son was always so obedient – he never liked eating chips or any packaged items like all his friends did. He would only eat simple roti, dal and bhaji. And now, he is able to eat nothing because of nausea. He didn’t deserve this fate,”-Sunita Devi. Before his son got sick, Ram Chandra used to go to work on a farm as a daily labourer and earn Rs 300 per day. It wasn’t a good salary, but at least he was able to get it on a regular basis to run his family. But now that he is always in the hospital with his ailing son, he has become completely penniless. He was able to pay for his son’s initial rounds of treatment using the money he borrowed from friends and relatives, but that is all exhausted now. 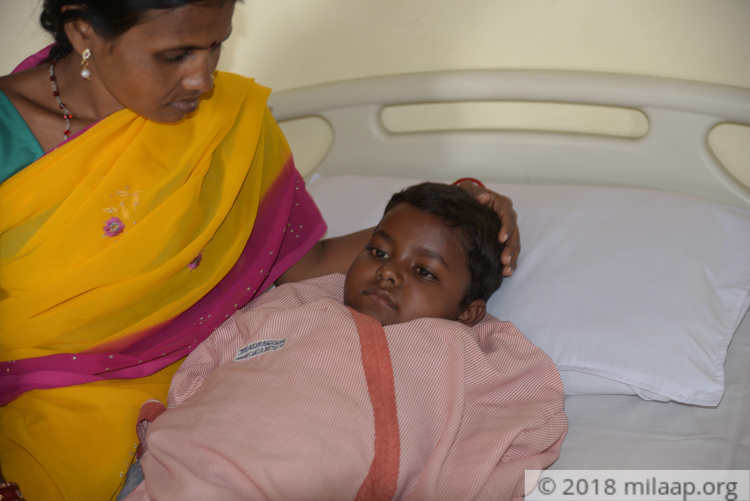 Due to lack of money, Sunita Devi is planning to go back to the village to be with her other children and beg her relatives for help. Now, Ram Chandra and Karan will have to be each other’s only support during these sad times. 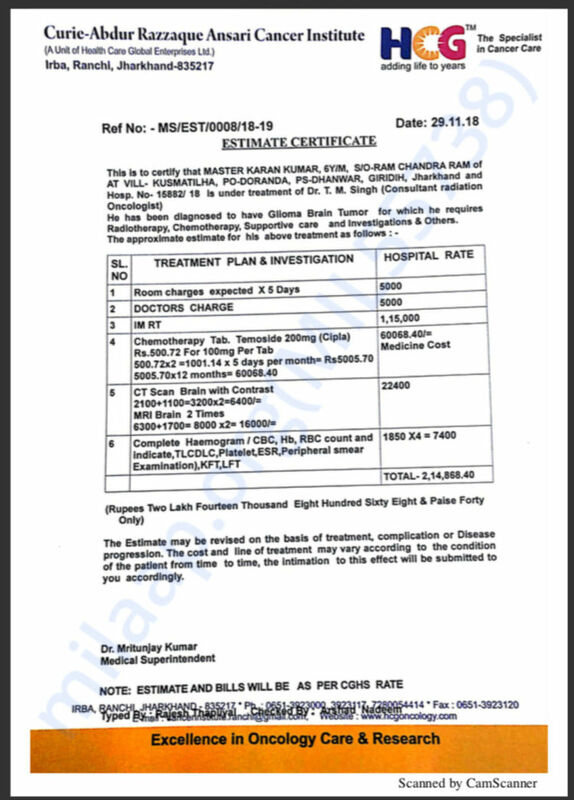 Karan Kumar is suffering from deadly brain tumour, for which the only treatment is prolonged radiotherapy and chemotherapy. He cannot bear the painful headache he gets and is suffering. 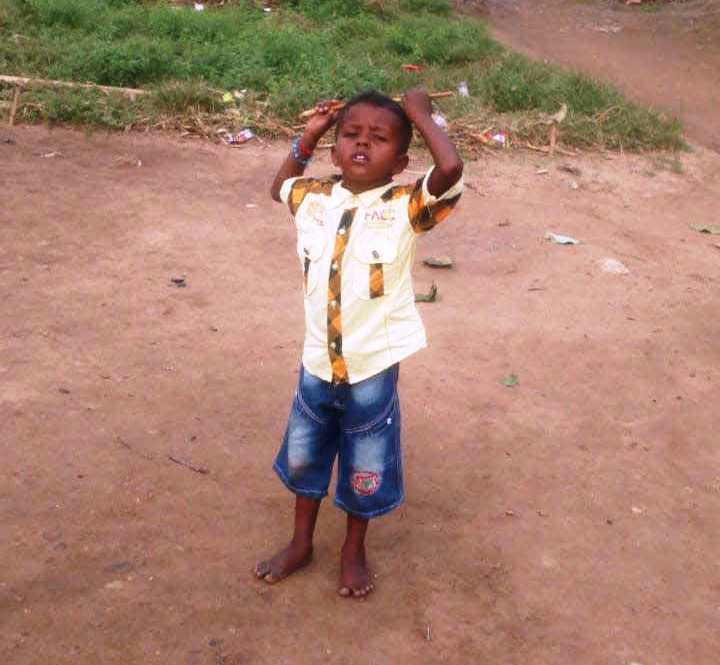 His poor labourer father cannot save him and needs help.